While leading my first study group to China in September 1999, we visited Wudang Mountain and met Grand Master Zhong Yunlong. Master Zhong – an engaging, energetic man – was one of the main Daoist Priests and the Abbott of the Purple Cloud Temple, a large monastery with about 100 monks and nuns nestled up high in the mountains. We had a formal meeting with him during which we drank green tea grown on the mountain and discussed Daoist ideas and our reasons for being there. The Wudang Mountains – Shan translates to ‘mountain’ – stretch 400km across Hubei province in central China and Wudangshan is revered as one of the five sacred Daoist mountains. 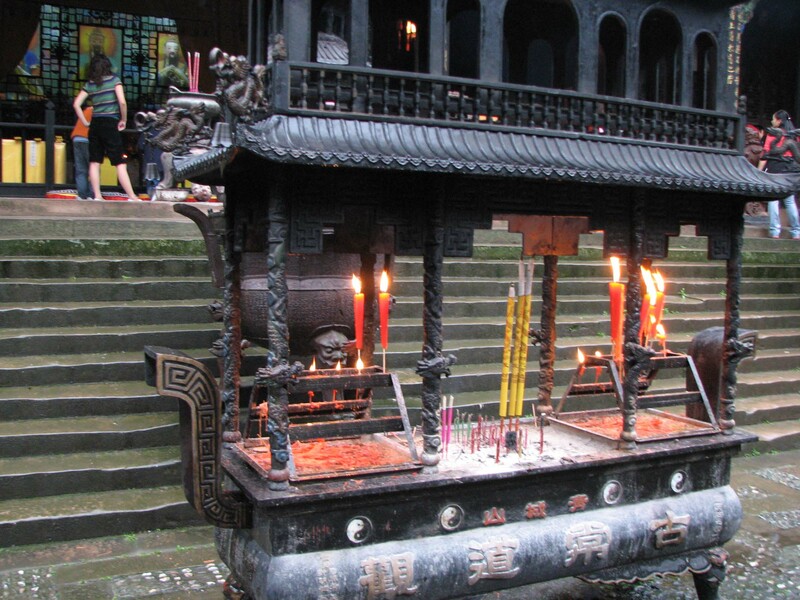 Wudang Mountain is renowned for the development of Tai Chi or Taiji, a Chinese term describing the Yin/Yang symbol. The symbol is a representation of the opposing forces and the wholeness of nature. It is one of the main symbols of Daoism. The idea of the Taiji symbol cannot be attributed to a single person because we are all influenced by the thinking of previous generations and by our environment. From prehistoric days, our ancestors began to observe the natural cycle of nature; the rising sun following the darkness of night, the continuous change from one season to the next and the changes and adaptations in our environment, including ourselves. As human beings we are a microcosm of our universe and are influenced by our surroundings. This is why Daoist monasteries are typically set in the mountains. There are fewer people and it is easier to harmonise with nature. The Dao translates to ‘the Way’. It’s not a religion but a way of harmonising with nature. Its origins are in ancient Chinese culture dating back over 5,000 years. Lao Tzu, a historical figure from 500 BC, was the first great master to write about his understanding of the nature of the Dao. His book, the Dao De Jing, is the basis of most Taoist thought Master Zhong ran a small school with about 12 full-time students learning the Daoist arts which included martial arts (Wushu), Taijiquan (Tai Chi), Qigong and meditation. Some of the other healing arts originating from the Daoist tradition include acupuncture, herbal medicine, and therapeutic massage.. He would also take small groups of foreign students, like my group, to help subsidise the running of the school. Master Zhong gave us a demonstration of a Daosit moving form and then asked me to give a demonstration as well. The next morning we commenced our training in the Taiji Hunyuan Zhuang Qigong, which translates to ‘the interaction of Yin and Yang’, ‘absorbing the primordial essence of the universe’, and ‘energy work’. We shortened the name to the Wudang Longevity form. As we left, I promised Master Zhong that I would return in 12 months with another group of students, whom I would train in the Longevity form, and we would be ready to learn more. He gave me a knowing look and nodded. To my word, I returned to China with my second study group in September 2000. When we visited Wudangshan, Master Zhong welcomed us like old friends. We spent quality time with Master Zhong in his private rooms, discussing the Daoist understanding of energy cultivation, spirituality and ways of improving our quality of life. We all shared stories of our experiences in life which contributed to a very special bond for all who were there. He asked us what we would like to learn next. I personally don’t have much interest in the martial arts and focus mainly on Qigong, meditation and spiritual understanding, so he suggested teaching us a Daoist Meditation practice with a history of 2,000 years from that Temple. The next morning we started our instruction in the Sitting Ba Duan Jin, or ‘Nurturing Life Qigong’ . When we had completed our training, Master Zhong presented me with a personal letter granting me authority to teach the two cultivation methods that I had learnt at Wudangshan. He said that I had ‘absorbed the essence’ of these teachings and he gave me the authority to share these techniques to help benefit human wellbeing. It wasn’t until 2004 that my travels took me back to Wudangshan. Master Zhong had been promoted to the head of Mt Wudang and was busy travelling with groups of his students promoting Wudang Mountain and the Daoist arts. The Mountain had changed and there were a lot more visitors. When we first visited in 1999 and 2000, it seemed that we were the only ones there. We practised Qigong and meditation in the grounds of the Purple Cloud Monastery with Master Sui, a Daoist Priest and Master Zhong’s second-in-charge. Master Zhong’s tiny school had grown and moved to a large hotel complex near the Monastery and was catering for large groups of Chinese and foreign students. Master Zhong was doing an excellent job of running and promoting the school, and the popular movie Crouching Tiger Hidden Dragon – set at Mt Wudang – had been released and was drawing many people. Wudangshan was becoming a major tourist attraction. 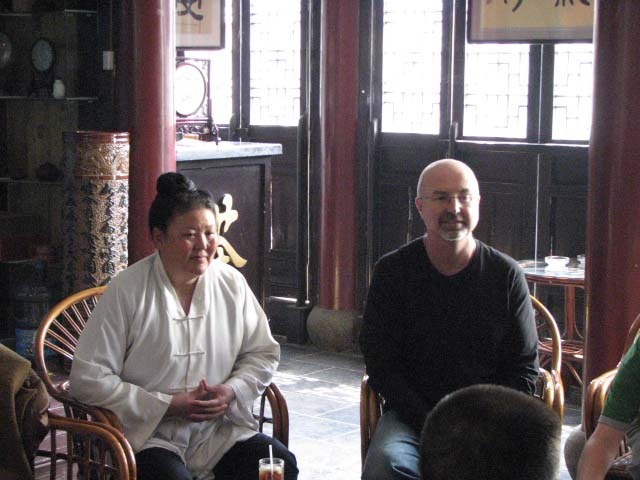 I returned to Wudangshan in 2005 and 2006 with groups of Qigong instructors, hoping to continue my study with Master Zhong, but each time he was away, so on these occasions we practised meditation with Taoist Priest Master Yuan. 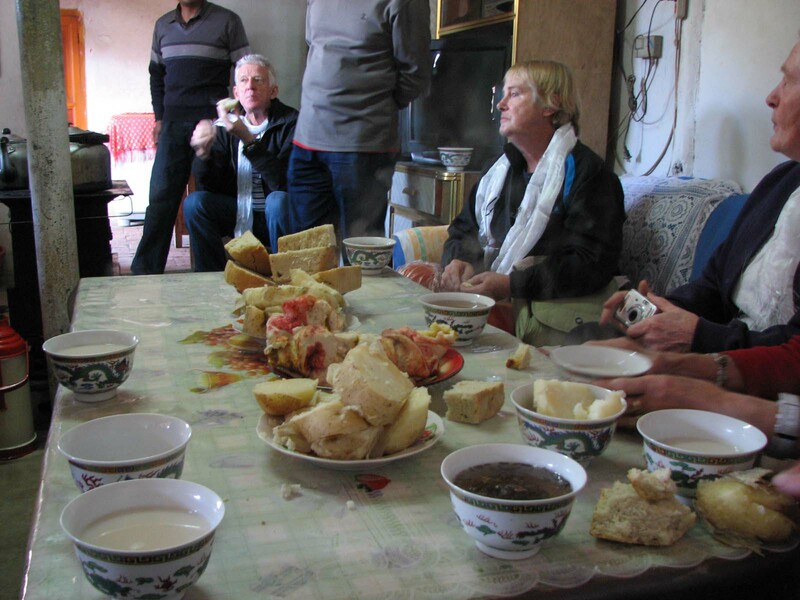 On my visit in April 2006, I learned that Master Zhong had grown disillusioned with the commercialisation of the area and retreated into the mountain to become a hermit and continue his cultivation of the Daoist arts, to merge with the universe, and return to nothingness. I feel very privileged and honoured to have had the opportunity to spend quality time with Master Zhong. I know that the energy and experiences that I and my companions received and shared with him will always be with us. The legacy of these teaching is recorded on the DVD ‘Qigong – Absorbing the Essence’ that I produced in 2003 and now in the book published in 2010 of the same name. As Master Zhong would say, “May the Meritorious Deeds Be Infinite”. Simon Blow is the author of numerous books, DVDs and audio CDs about this ancient healing art. He is a Sydney-based master teacher (Laoshi) who has been leading regular classes, workshops and retreats for beginning and continuing students since 1990. Simon also leads unique study tours to China were he has received training and certification from Traditional Chinese Medical Hospitals and Daoist Monasteries who have given him authority to share these techniques. He has been initiated into Dragon Gate Daoism and given the name of Xin Si, meaning Genuine Wisdom. Simon is a Standing Council Member of the World Academic Society of Medical Qigong in Beijing.